Newly launching into the UK market, Burg-Wächter’s extensive range of remote access video surveillance solutions includes BurgCam Wi-Fi, which can run as either a standalone or modular system. The BurgCam analogue range updates existing coaxial systems, whilst the BurgCam IP range represents the very latest in video surveillance technology. Security specialists Burg-Wächter is bringing its extensive range of home and professional video surveillance cameras, software and accessories to the UK. With an increasing number of homeowners and businesses becoming concerned about the security of their property, security professionals are ideally placed to make the most of the increased popularity, affordability and functionality of video surveillance systems. Burg-Wächter’s BurgCam Wi-Fi range includes a choice of zoom, dome and bullet cameras. BurgCam Home Wi-Fi cameras offer greater than HD resolution and can run as a standalone unit (with SD card) or as a modular system, which can be tailored to suit each customer’s requirements. For customers with more sophisticated video surveillance requirements there’s Burg-Wächter’s ranges of analogue and IP based solutions. The BurgCam analogue range has been designed to bring HD video, video analytics, remote access and 4in1 technology as an upgrade to existing CCTV systems running on coaxial cable. Burg-Wächter’s IP range represents the very latest in video surveillance technology. 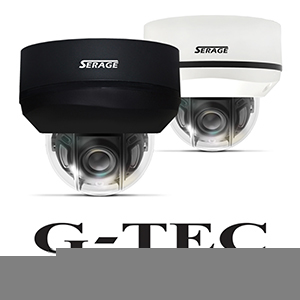 Images of up to 8MP resolution are captured through a number of different cameras, including thermal imaging options. Advanced Digital Noise Reduction and Wide Dynamic Range technology provides clear and balanced images which can be processed by intelligent video analytics for face detection, people counting, object removal/placing and virtual trip wire detection. 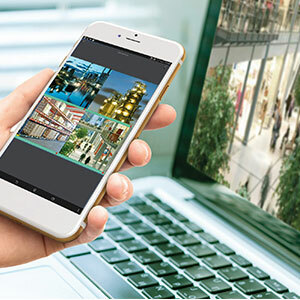 All Burg-Wächter video surveillance products are accessible locally via a connected PC as well as remotely via the BurgCam app. The app provides real time remote video monitoring on smartphones and tablets and also allows two-way audio communication with indoor cameras. BurgCam can be configured to send notifications and alerts should pre-defined events be triggered, providing additional peace of mind and faster response times. 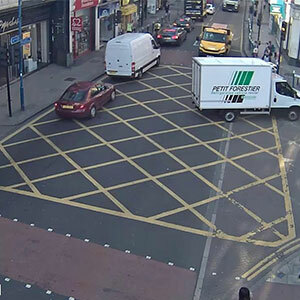 The London Borough of Wandsworth, which serves more than half a million people, has awarded Videalert, one the UK’s leading suppliers of intelligent traffic enforcement and management solutions, a contract to install unattended CCTV cameras at a number of “problem” locations across the borough. The contract was awarded following competitive trials of all the major suppliers undertaken by Wandsworth’s Parking team, now part of the Richmond and Wandsworth shared parking service. 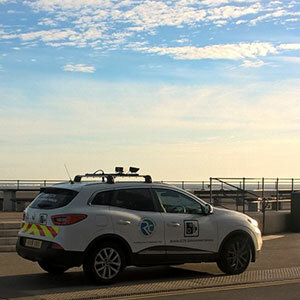 After completing these trials it was determined that the Videalert system would provide best value to the Council in terms of performance and cost over the lifetime of the contract. After benchmarking the technologies and performance, Videalert came out on top with consistently high capture rates, particularly in busy traffic conditions and across complex moving traffic contravention scenarios. The quality of evidence captured using the latest digital, ONFIV compliant cameras also resulted in higher productivity with the added potential to reduce the number of appeals. Other key factors in the decision-making process included flexibility of the system to capture multiple contraventions from a single WAN unit to reduce infrastructure costs combined with Videalert’s real-time monitoring service to keep system uptime as close as possible to 100%. The platform’s automated evidence pack review suite was also recognised to further enhance productivity. As a direct result of the trials, cameras have already been installed at an initial four locations. Wandsworth will continue to transition from its current attended system with further installations of Videalert’s unattended cameras based on expected efficiency and productivity gains. The British Security Industry Association estimates that there are up to six million CCTV cameras in operation across the UK. Indeed, the UK is often referenced as being one of the most surveillance countries in the world. The use of CCTV is covered by the Data Protection Act (DPA) and with the new general data protection regulations (GDPR) recently coming into effect, most businesses are aware that personal data must be processed lawfully and transparently – although many are still unaware that this includes the use of CCTV. 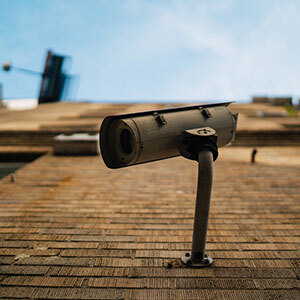 The Information Commissioner’s Office (ICO) recommends that organisations using CCTV systems conduct a data privacy impact assessment to ensure CCTV operations are justified and legitimate. Being able to explain why your organisation is using CCTV is vital to ensuring compliance with the new GDPR. In most cases businesses can rely on legitimate interest, for example, security of a vacant property, for operating CCTV however, they are also required to justify this against the size of the area being monitored. Under the new GDPR, personal data can only be processed for as long as its purposes requires it so businesses should review their CCTV usage and determine how long footage is kept for. This will vary of course depending on the purpose of the CCTV system but organisations should be aware that indefinite data retention times or waiting until the system overwrites previous footage is not considered to be good practice. People captured on CCTV are entitled to request access to the footage, which may result in businesses being required to share footage. Organisations must not disclose personal data about other subjects as part of this data-sharing process so this may require parts of the footage to be blurred before it is handed over. Protecting CCTV data while it is being accessed and when it is stored is essential to ensuring confidentiality. Footage should only be viewed by authorised personnel and either encrypted when stored or accessed electronically, or securely locked away if it is being physically stored. “The use of CCTV is not discouraged under GDPR,” reassures Michael Knibbs, Operations Manager, SafeSite Security Solutions. “There is now a more equal balance between the rights and interests of the operator and data subjects. Further information regarding the use of CCTV systems is available on the Information Commissioner’s Office website. Milestone Systems, the open platform company in IP video management software (VMS), announces its new Vice President for EMEA, Malou Mousten Dyhr Toft, who also becomes member of Milestone Systems’ Extended Leadership Team. She will be responsible for the whole EMEA region, the EMEA sales operation, the EMEA Custom Development and Support and will focus on further strengthening the EMEA partner community of distributors, installers, solutions partners and camera manufacturers. “I’m very excited to join Milestone Systems and I look forward to being part of this forward-looking and innovative company. The concept of openness and community is a profound part of Milestone Systems’ DNA and is undoubtedly one of the reasons why we will be leading the disruption that will change the security industry in the years to come,” Malou Mousten Dyhr Toft says. Innovation and business development have played a significant role in Malou Mousten Dyhr Toft’s career in the telecom industry – an industry that was truly disrupted with the rise of mobile telecommunications and the introduction of smart phones. Disruption emerges when customers require change, so it is essential to understand who the customers are as well as their requirements for design of services and products, according to Malou Mousten Dyhr Toft. “Milestone Systems is an industry leader, and our ambition is to maintain this position. 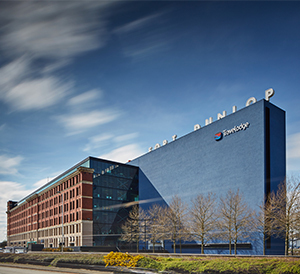 My goal is to further grow the EMEA region and support our sales organization and community of partners in rethinking how we do business and especially how we can grow business together as a community,” Malou Mousten Dyhr Toft says. “We were looking for someone with proven leadership skills and the ability to dare think differently. We believe that the security industry is facing significant changes and Malou Mousten Dyhr Toft is the right person to lead this change in the EMEA region and to support our ambition to increase growth in the years to come,” Chief Sales & Marketing Officer Kenneth Hune Petersen, Milestone Systems, says. Malou Mousten Dyhr Toft joins Milestone Systems after a long and remarkable career at Telenor, most recently as Head of B2B. In 2016, Malou was elected a Top 100 Business Talent by Danish national business magazine Berlingske Tidende. Malou Mousten Dyhr Toft will be based at Milestone Systems’ headquarters in Copenhagen and report directly to Kenneth Hune Petersen, Chief Sales & Marketing Officer. IDEAL Networks has formed an agreement with Mayflex, the distributor of Converged IP Solutions, to distribute several products from its cable certification and security portfolio. IDEAL Networks, part of IDEAL INDUSTRIES, INC, provides solutions for testing and documenting data cable, networks and more. Mayflex will be placing an emphasis on the IDEAL Networks range of security testers including the newly launched SecuriTEST IP. SecuriTEST IP is an all-in-one CCTV tester that can connect, power, configure and document which helps to increase productivity from start to finish. SecuriTEST IP combines the functionally of a video monitor, cable tester, PoE injector and laptop in one device reducing equipment investment. “I am delighted to welcome IDEAL Networks on board. 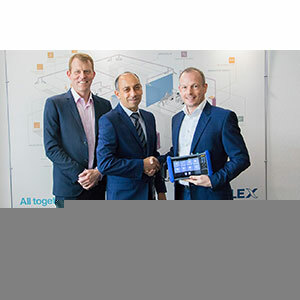 It’s range of testers will introduce exciting new opportunities to Mayflex with both our existing and potential new customer base,” comments Jason Rudge, Commercial Procurement Director at Mayflex. For further details on the IDEAL Networks product range visit www.mayflex.com or www.idealnetworks.net. 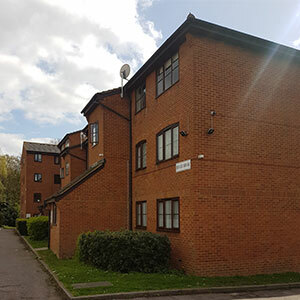 STANLEY Security, one of the UK’s leading security providers, has installed new CCTV and intercom systems at a number of residential blocks for property management company Griffin Grays. The result has been a reduction in anti-social behaviour and a more efficient way of working. Griffin Grays is a family led estate and property management company based in Grays, Essex. The latest addition to its range of services, Griffin Block Management is a managing agent service specifically for residential blocks in the Thurrock area. STANLEY Security has installed new audio intercom systems, featuring modern vandal proof panels on entrances and new handsets in apartments. It worked closely with Griffin Grays to gain access to apartments with minimal inconvenience or disruption to residents. In addition to replacing the intercoms, STANLEY Security has also helped Griffin Grays tackle an issue all too common to blocks of flats: fly tipping. “Most sites have bin stores that are close to the roads which encourages non-residents to fly tip large items,” states Pam. 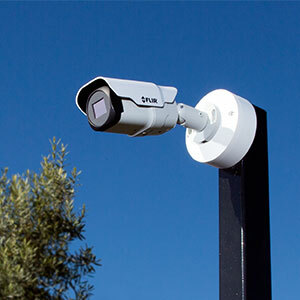 STANLEY Security has installed small IP networked CCTV systems in these properties, consisting of four external cameras and some internal where required. These are recorded to on site hard drives, although discussions are afoot to move to remote monitoring. The CCTV has had an immediate positive impact: “To date the fly tipping has reduced as the cameras are highly visible. In addition to this, when residents are dumping items, we are able to evidence this and charge them direct for removal, therefore reducing the overall costs of refuse removal. STANLEY Security has completed work at eight sites to date with a further three underway. Each are under a ten-year contract which includes full service.